Indoor Playground Bellevue: Let Your Little One Play Indoors This Winter! Looking For An Indoor Playground In Washington This Winter? 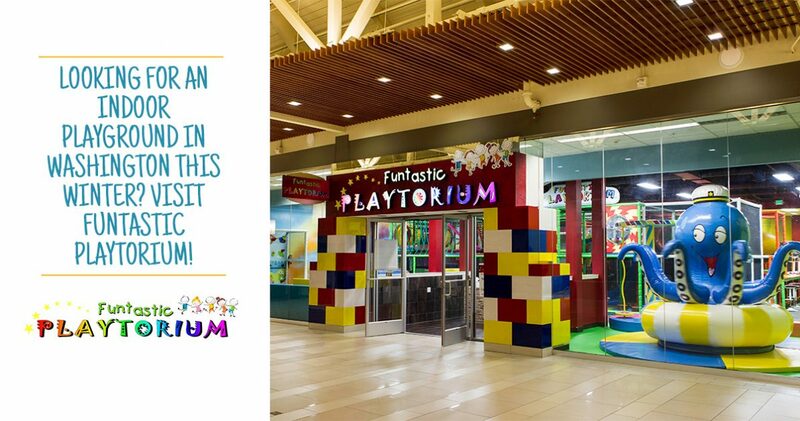 Visit Funtastic Playtorium! As the weather begins to grow colder, kids and parents everywhere will be looking for fun and exciting places to run, play, and burn off all of that extra energy. Families across Washington will likely be in need of an optimal kids’ play area to allow their little adventurer to run free and enjoy being a kid. If you’ve considered visiting an indoor playground in the Bellevue area, then be sure to stop by Funtastic Playtorium do see how we do fun! Our children’s playground is intended for ages 10 and under, allowing children of all sizes to run and play within the safety of our secured facility. The colder temperatures can keep many families cooped up in the house, making a trip to one of our play places in Factoria or Alderwood a smart idea! Whether you’re interested in a fun afternoon away or the next place for your kid’s birthday party, we’re here to provide the best time for everyone! It’s nice to step into a warm, clean facility and get out of the cold. Both of our indoor playgrounds feature fun elements for children of all ages. You will be greeted by friendly and knowledgeable staff, then introduced to our playground areas. There is a separate area for little ones to play, and adults will be able to comfortably keep an eye on their little explorers at all times. While we are not a daycare, our buildings are structured to ensure that the highest level of safety is upheld at all times. We’re happy here and always happy to help! The holidays can leave your little ones in the house or in child care throughout the day, creating a serious need for an outlet. Funtastic Playtorium is happy to provide a range of fun activities and playground equipment, challenging your child in a fun, engaging manner. From bridges and jumping platforms to ball pits, slides, and more, every child will be able to laugh while they roam free. Studies have shown that children are exposed to screens on average around five hours a day, which far exceeds health guidelines, which suggest a maximum of two hours. Our reliance on technology has created a range of unhealthy habits, making it a nice change of pace to toss out the phone and unplug for awhile. Beyond the two hour limit recommended for screens, health professionals all over have suggested that children get at least one hour of exercise per day. Getting your little one out of the house and running around freely to jump and play can provide the best outlet for pent-up energy, delivering healthful benefits for both the body and mind. Exercise promotes strong bones, teeth, and muscles while providing the support needed for active minds, laying the groundwork for a lifetime of healthful practices. While we like to discuss the long-term benefits provided by play, you are likely looking for an immediate result for your child. For years, our indoor playgrounds in Factoria and Alderwood (next to JCPenney in the Alderwood Mall!) have provided safe, fun environments that allow kids to run, play, and socialize. Contact us today to learn more, and be sure to visit one of our locations to see the fun for yourself!